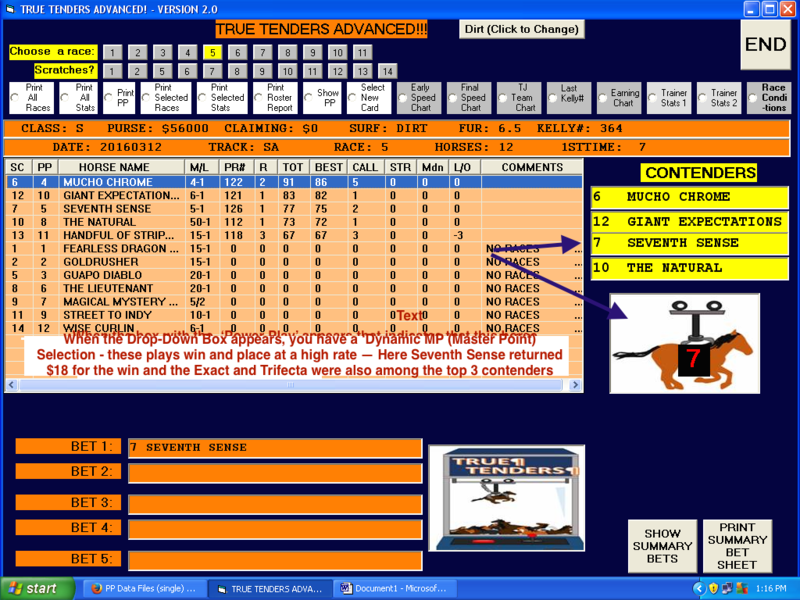 TRUE-TENDERS, ADVANCED, Software Version 2.0! NOW with Dynamic MP (Master Point) Selection Tool!! Watch our walk though video. >>>>>Includes FREE!! — Strategic Longshots, v. 3.0! 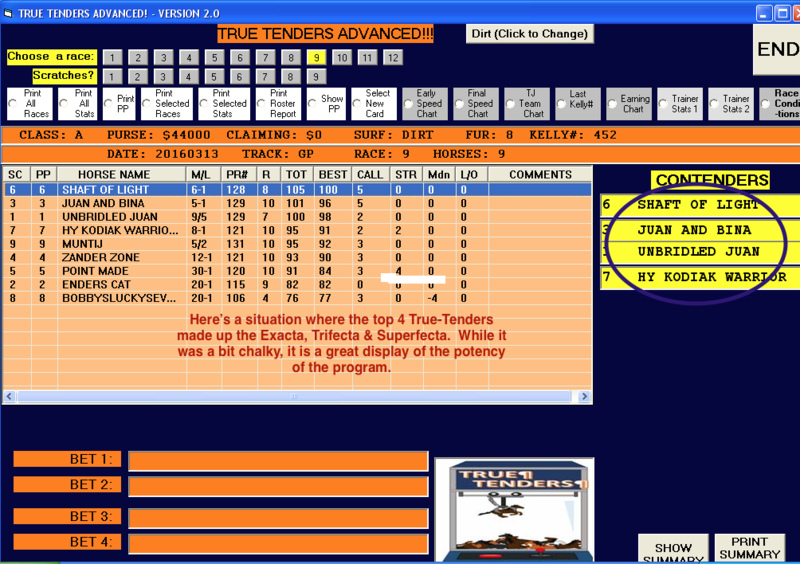 Race 10 at Keeneland April 8 — Seriously, do you think you could arrive at this kind of result with ‘traditional’ handicapping? 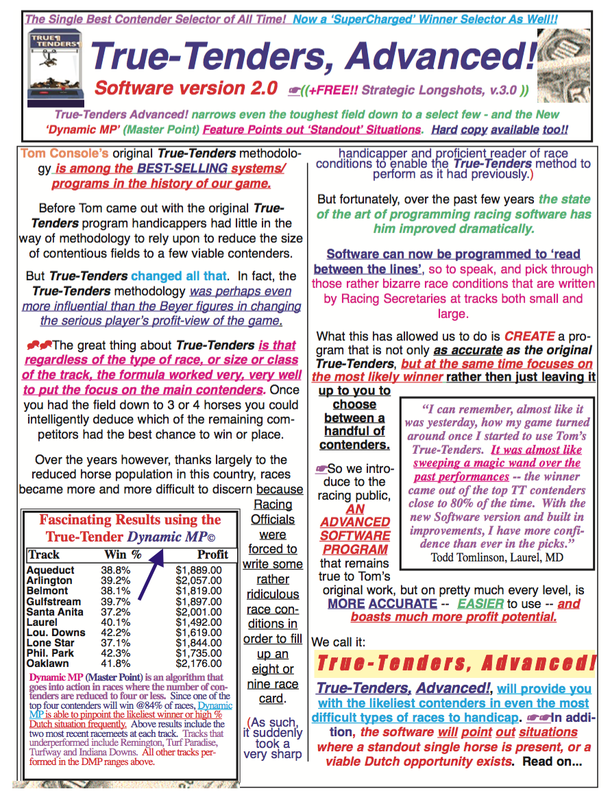 That’s the beauty of ‘thinking outside of the box’, which is what True-Tenders, Advanced does race after race! 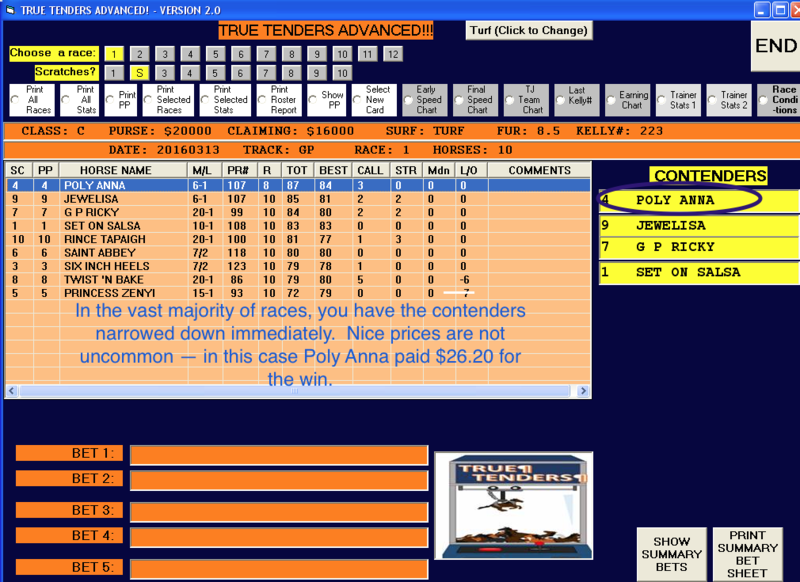 The great thing about True-Tenders, Advanced, that even in the toughest races, you will have the likely winner among the contenders over 80% of the time – and often at a bomber price! 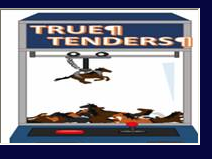 True-Tenders, Advanced!, will add a powerful selection tool to your handicapping arsenal. Go out to the track or racebook and look around. 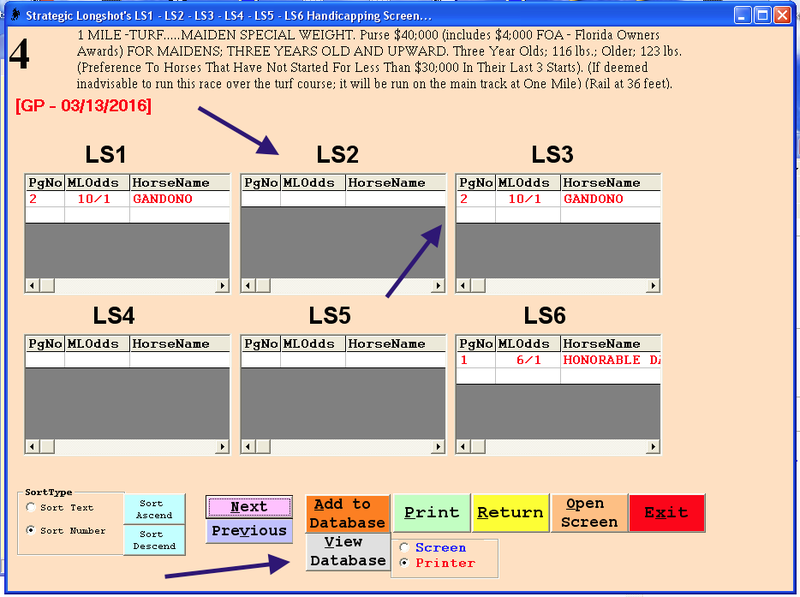 You won’t seen even 1/3 of the attendees with a Racing Form — many are just using the local handicapping sheet from their newspaper. Yep! 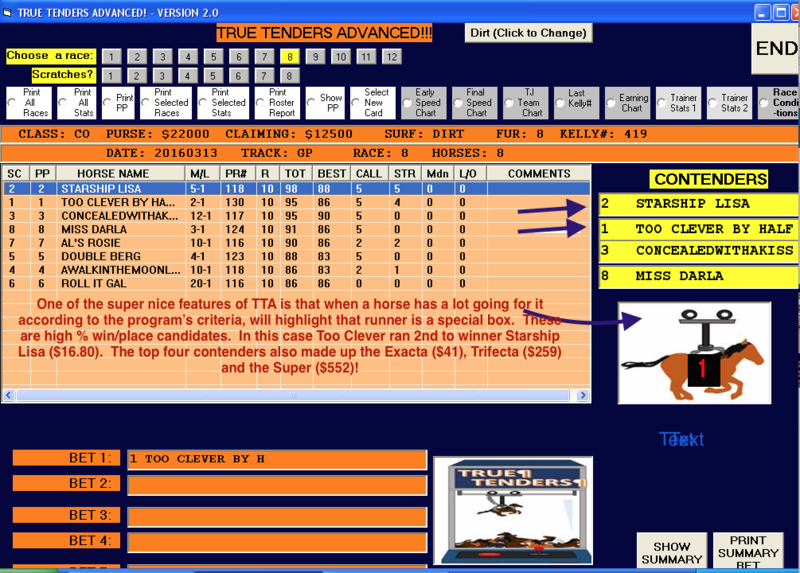 When you purchase True-Tenders, Advanced!, we are also going to send you, FREE, Tom’s New Strategic Longshots, v.3.0 — a superb Longshot selector that will get you prices, both win and in the exotics, that most players can only dream about! Strategic Longshots provides you with several avenues to get big price plays. 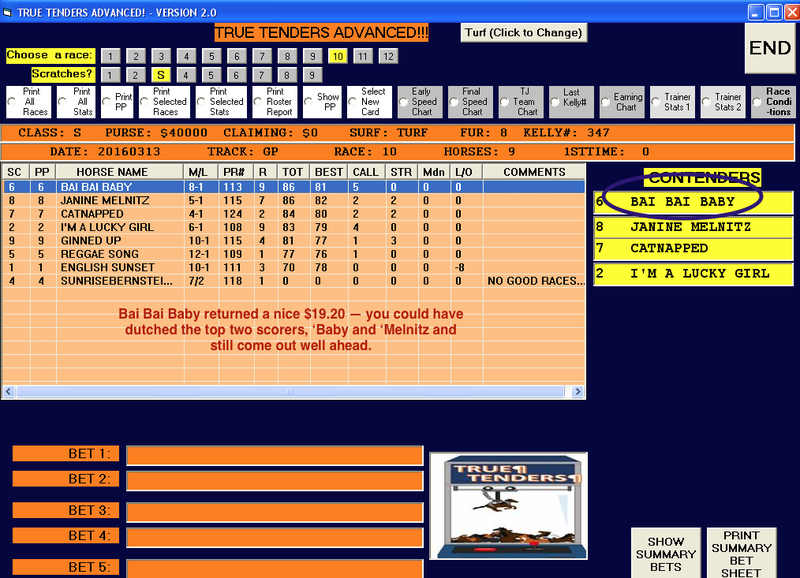 In addition, it can build a nifty database for you that will provide you with even more accurate Longshot winners. It’s a $99 value, yours FREE!! 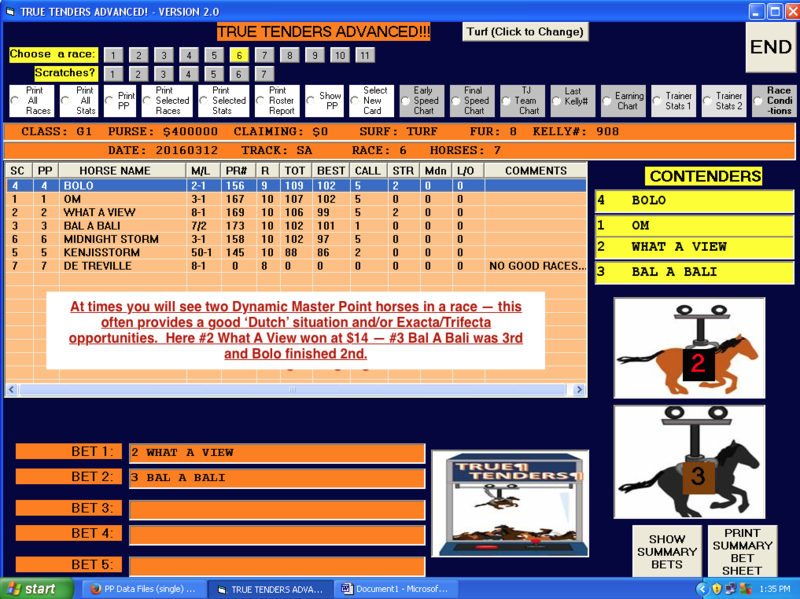 And the entire package is priced at a very reasonable $138 — True-Tenders, Advanced, Dynamic MP, Strategic Longshots, Strategic Longshots Database Builder — the whole works! 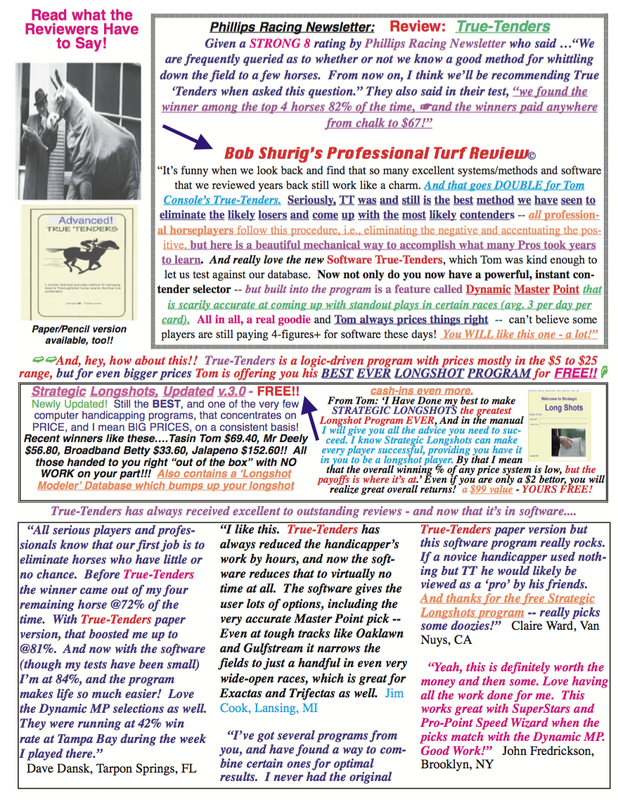 Improve your handicapping experience and, of course, visits to the Cashier’s windows! Call us at 1-800-696-0067 or order from our website and do, of course, call if you have any questions! !